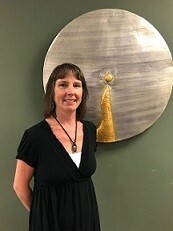 Lisa Langton has been practicing massage therapy for 14 years and has been an integral part of The Balanced Body Center team since 2016. She originally graduated with a BA in Botany with an emphasis in Biochemistry from the University of California - Santa Barbara before going on to study massage at the North Eastern Institute of Whole Health in Manchester, NH. While in New Hampshire, Lisa also earned advanced certifications in both myofascial release and neuromuscular therapy from The Muscular Wellness Institute. She is a Licensed Massage and Bodywork Therapist (LMBT) and is board certified by the National Certification Board for Therapeutic Massage & Bodywork (NCBTMB). Lisa is passionate about helping others feel their best and optimize their health through massage and bodywork. If you’re interested in booking a massage, Lisa is available Monday-Friday during our regular office hours. Call us at (704) 849-9393 to book your first massage and receive a $20 new patient discount. You deserve it…so what are you waiting for?